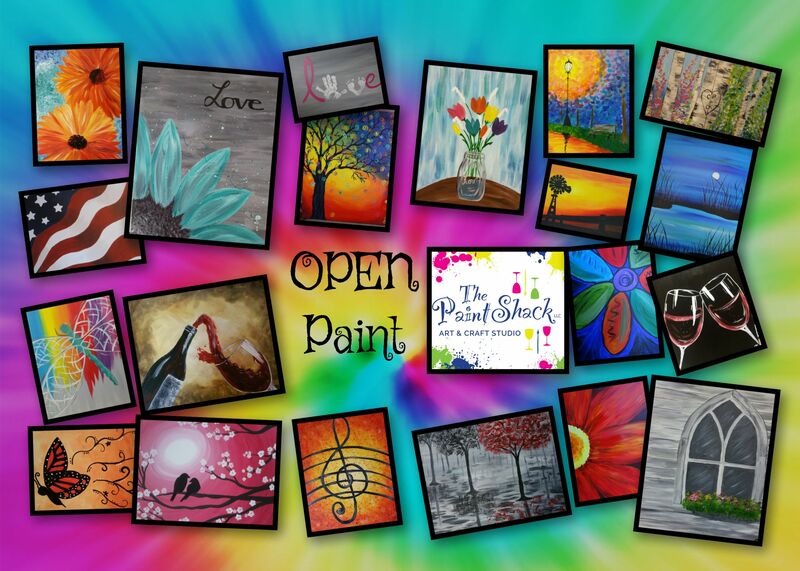 Paint anything, WE HELP... Everyone welcome..kids, adults...Choose from almost 600 paintings on our walls for inspiration! Pay at the studio, we accept checks, cash or cards. Start your painting between 1:30 and 2:00pm. NOTE*These are very popular and very busy events, if you would like a more personalized painting experience, please consider our regular classes where everyone paints the same thing along with the instructor. Please register ahead of time by ... 1. Call/text Cyndi at 715-379-7377 2. Registering on our website - follow the ticket link 3. Private Facebook message us 4. email us at thepaintshackec@gmail.com Prices $10 8x10 canvas $15 (kids cinch bags) $20 (11x14 or 12x12) $20 (adult canvas bags) $25 (adult canvas bags WITH Zipper) $30 (16x20 or 10x20) $35 Wood Board -without a vinyl/personalized stencil $40 Wood Board -with a vinyl/personalized stencil *Must ORDER the stencils with us at least 24 hours prior**not every wood project needs a stencil. $40 screens (choose from our stock or arrange ahead of time) All alcohol drinks only $2.84 plus tax= $3 for 21+! !